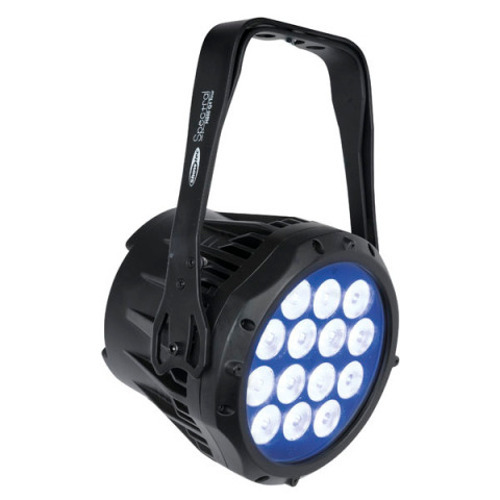 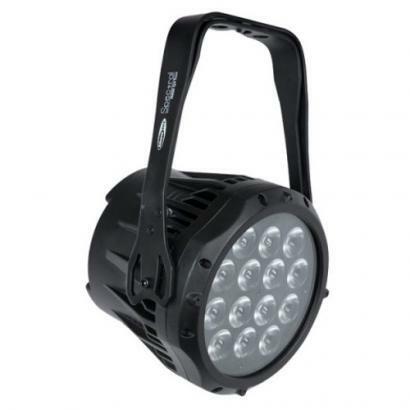 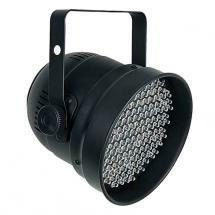 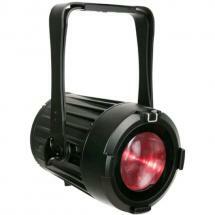 This Showtec Spectral M800 Q4 IP65 is a dust and waterproof LED PAR with 14 RGBW LEDs. 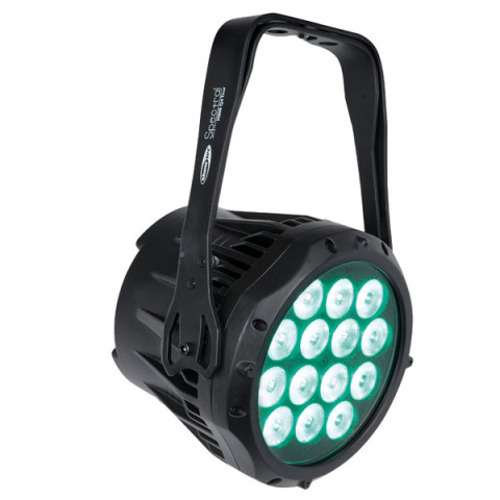 It's the successor to the popular Spectral M800 and has a Powercon True1 input and output as well as a connector for DMX operation. 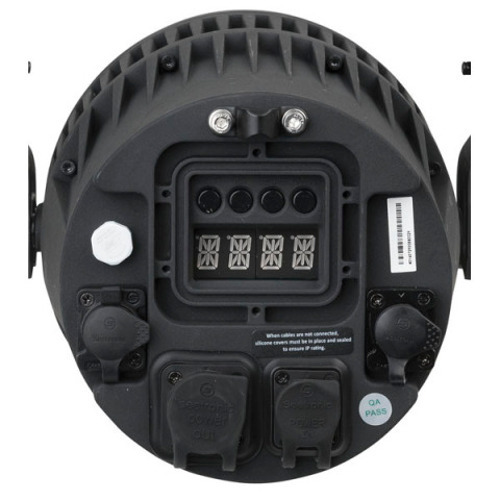 All the connectors have a watertight cover. 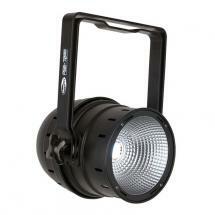 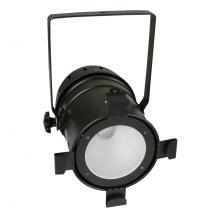 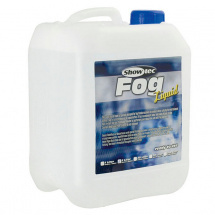 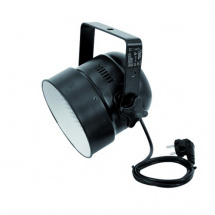 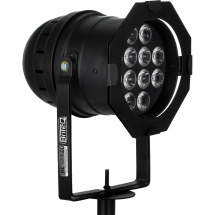 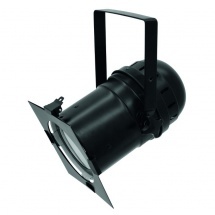 The Showtec Spectral M800 Q4 IP65 can be used upright or suspended thanks to the double bracket.